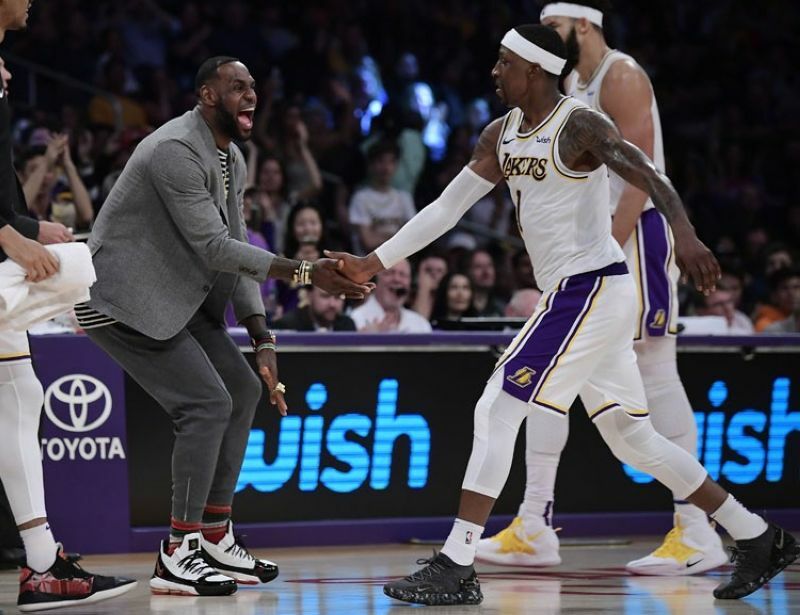 LOS ANGELES-- Kentavious Caldwell-Pope and the Los Angeles Lakers have been out of playoff contention for the past month. They're still playing a role in shaping the Western Conference bracket. Caldwell-Pope scored 32 points Sunday night as the short-handed Lakers snapped Utah's seven-game winning streak with a 113-109 victory over the Jazz. The Lakers, beset by injuries all season, dressed only 10 players and played eight. And of those eight, only Caldwell-Pope and JaVale McGee played in the club's opener. "I'm sure when you're a team that is looking down the roster and looking who is playing for us, naturally you would let down a little bit. That's part of why this is fun," coach Luke Walton said. "It's the type of win where we needed everyone and everyone stepped up." "Regardless of where you're seeded, you have to play well and play a certain way to win," he said. "We've won some games, so sometimes that masks some things we weren't doing well. Everyone has been talking about the winning streak, but that doesn't mean anything." "I wish I was playing like this to start the season, but now we just want to finish strong and play free," he said.